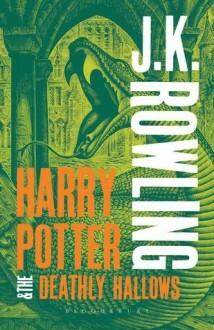 Magic, Mystery, and Mayhem: A Conversation with J.K. Rowling "I am an extraordinarily lucky person, doing what I love best in the world. I’m sure that I will always be a writer. It was wonderful enough just to be published. The greatest reward is the enthusiasm of the readers." --J.K. Rowling Find out more about Harry's creator in our exclusive interview with J.K. Rowling. Did You Know? The Little White Horse was J.K. Rowling's favourite book as a child. Jane Austen is Rowling's favourite author. Roddy Doyle is Rowling's favourite living writer.